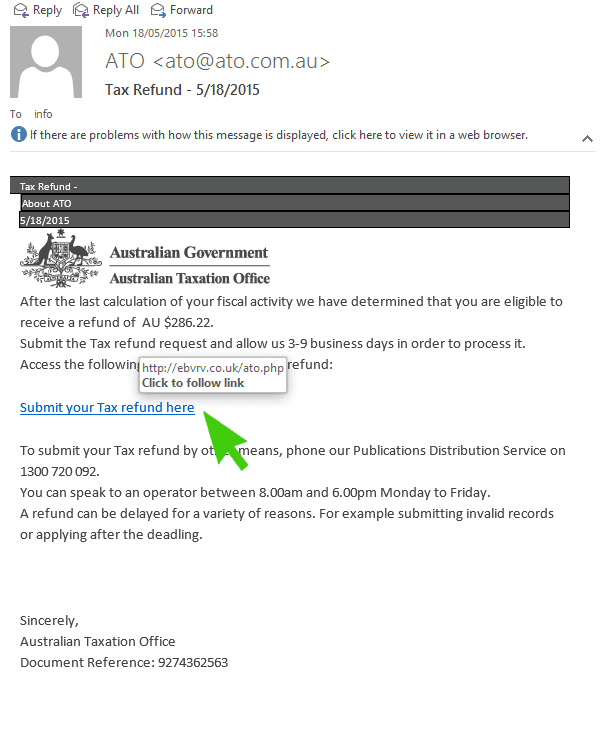 It looks like that the latest round of ATO scam emails is going around again. This one looks pretty legitimate but there are some clues to look out for. 2. 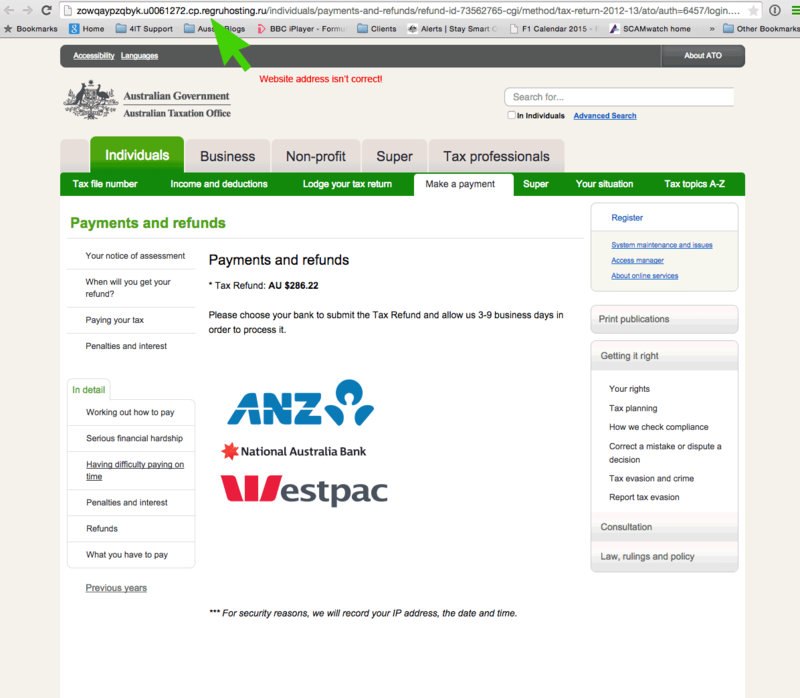 The fake website address is different again once the link has been opened however the page looks quite authentic. As always, if you assume that any email coming from the following is suspicious until proven otherwise you’ll be a lot safer.